A GlaxoSmithKline developed long-acting injection that is given once per month proved to be as effective as standard pills taken daily for controlling AIDS, which lifted the prospects for the drug maker’s key business related to HIV. 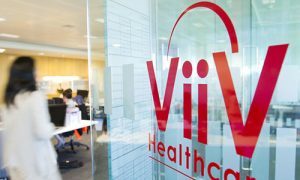 GSK’s ViiV Healthcare, which GSK is the majority shareholder of, said Wednesday that the experimental injection containing the two drugs rilpivirine and cabotegravir maintained rates of a similar nature of viral suppression in comparison with a standard oral regimen of three drugs, after a clinical test of 48 weeks. Results from the Phase III study are a boost to the goal of GSK of developing dual therapies that can be tolerated easier than the conventional triple therapies. Shares of GSK were up by over 1% on the news. It comes following recent positive data from the combining of a pair of oral drugs. GSK is hoping the new approach allows it to compete in a more effective manner against U.S. drug maker Gilead Sciences that dominates the HIV market of $26 billion per year. Currently, Gilead has a 52% market share against the 22% of GSK, but a member of the HIV unit at the British pharmaceutical giant said the company hopes to overtake its rival in the U.S. by sometime during the mid-2020s. The ambition is considered bold since many industry analysts have expected GSK to lose more market share to Gilead’s triple drug Bikarvy instead of seeing it increase its market share. One analyst said GSK stock is a buy and believes that the dual-drug strategy by the company had not been sufficiently appreciated in the market. GSK hopes that shifting to the use of two drugs rather than three would boost sales by offering patients a therapy that has greater convenience and less toxic side effects. In some cases, depending upon drugs uses, regimens of two-drugs will also be much less expensive. Some doctors still worry using only two drugs to maintain the AIDS virus at bay could risk drug resistance due to HIV only needing to evade a pair of drugs and not three. Gilead has that view and because of that sticks to the three-drug regimen. A second clinical trial of rilpivirine and cabotegravir should have results by late 2018.